Our goal at Steinberg Law Group is to take care of our clients and their families. We fight diligently and hard when representing parents in child custody proceedings. When a divorce includes custody or visitation questions, your custody attorney should give you guidance. That way, you can establish a stable environment for your children and reduce the stress that divorce creates. Our child custody lawyers in Las Vegas will help you every step of the way to settle your child custody case. Do you need need to prove paternity? Our divorce attorneys can guide fathers through the court’s paternity process. In the State of Nevada, the presumption is for the parties to have joint legal custody. In Joint Legal Custody, both mom and dad have the right to be part of the decision-making process on important matters. Our divorce attorneys or child custody attorneys will walk your through this process. As your custodial mediator, we will help you work out a parenting plan that is in the best interests of your child. Whether you are married, divorced, in a domestic partnership or are an unmarried parent, we are on your side to protect and establish your parental rights. Sole Legal Custody is very rare in Nevada. It’s only considered if one party has had no involvement with the child, is a serious felon, mentally impaired, or does not desire any legal custody rights. The default in Nevada is for both parents to have joint legal custody. A growing trend in Nevada is to give both parents joint physical custody of the child. Both parents have a similar amount of time with the child. But, it is possible that one parent could receive primary physical custody of the child. In which case, that parent has a greater amount of time than the non-custodial parent. Your divorce attorneys should understand this. It is important for any parent to understand the differences between joint physical custody and one parent having primary physical custody. Child Custody Attorney Brian Steinberg knows these differences. And, he knows the implications they can have on each parent and the child. If there is no agreement to give one parent primary physical custody, then you need a hearing in court. 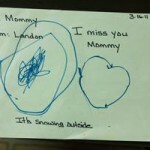 This will determine what custodial arrangement is in the best interest of the child. Child custody law cases require that both parents attend a Court-mandated class, “Coping with Divorce” before the divorce becoming final. You should also resolve allocation of tax deductions, timeshare/visitation schedules and parenting plan details. If both parents cannot agree to any or all these items, then the Court will decide these issues. There is no single structure for parenting and custody that works for all families. Brian Steinberg and the Steinberg Law Group have over 15 years of experience working with families. We design creative solutions to child custody law matters through litigation or custody mediation. We can help you find a solution that is in the best interest of your children. Schedule a consultation today with one of our Las Vegas child custody lawyers. How will I pay my bills while my case is progressing? How is the court likely to rule on my child support request? How long does a divorce case take in Nevada? How can I be sure my case will receive the attention it deserves? Get Your Initial Questions Answered by a Family Law Attorney in Las Vegas. Steinberg Law Group allows you to ask our Divorce and Child Custody Attorneys your initial legal questions. You can ask in person, via a telephone call or through this website contact form. We Have Over 18 Years of Experience in Family Law in Las Vegas.Brian Steinberg provides input on every case we handle and has practiced Las Vegas family law for over 18 years. He knows the judges’ tendencies. All our divorce attorneys use this valuable knowledge to develop winning case strategies that save you time and money. Our Organized System Keeps Your Case Moving Fast. Other firms may neglect your file due to disorganization. Steinberg Law Group put organization systems in place that moves your Las Vegas divorce through the courts as quickly as possible. We Can Reduce Stress and Increase Your Chance of Success. Steinberg Law Group works with many marriage and family therapists to account for the emotional aspects of your case. We also can handle other aspects of your case, such as estate planning and business evaluations. You will gain an advantage by hiring Steinberg Law Group to handle your divorce. It is one that comes from the personal involvement of a legal professional that is a Las Vegas Child Custody Attorney. Steinberg Law Group focuses on what you are legally entitled to. But we also make sure that your family’s emotional health and well-being are attended to throughout the process by divorce attorneys. 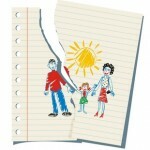 Divorce can have a devastating impact on a family, particularly the children. Care should be taken in every case to look out for the family’s interests as a whole. Not every Las Vegas divorce and child custody attorney will use this approach. If you’re looking for goal oriented, long term solutions, we are the right choice. As a Las Vegas family attorney, we will never attempt to escalate the hostility of your case or use the children as tools to force an inequitable settlement. Some divorce attorneys use this as an attack strategy. It often causes irreparable damage to family structures that could have been preserved. We will work with you to deal with negative strategies and fight for what is right for you and your family. Brian Steinberg went through divorce and has since become a Child Custody lawyer that Las Vegas trusts. His personal and professional experience provides you with a powerful ally in the courtroom when you are fighting for your rights as an aggrieved party in a marriage. Brian and his associate attorneys combine trial expertise with the customer care and legal skills. Steinberg Law Group offers these skills and more to provide services that you can count on. The way the beginning of the divorce process is handled can make all the difference in reaching solutions that are best for the family long term. 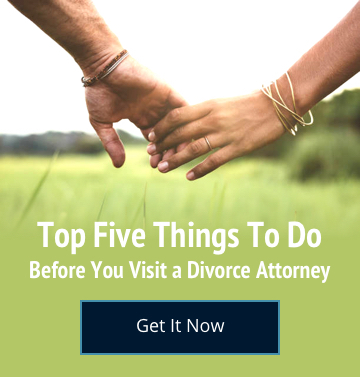 Good Las Vegas divorce attorneys such as Steinberg Law Group can help prevent bad feelings from turning into open hostility and painful attacks. We work with you to identify your long-term goals and then stand with you to move you towards those goals. The system we designed assists you in avoiding knee jerk reactions that, though understandable in the moment, can create long term problems down the road. Steinberg Law Group is a group of Las Vegas child custody lawyers that people can turn to. When they don’t want their children to have to shoulder the burden of the divorce over the years to come, we can help. Hiring an attorney who understands the importance of your long-term goals will help your family make it through a tough time as intact as it can be. Divorce is a difficult process, no matter how amicable it is. Steinberg Law Group will do everything we can to support you through the process and achieve the long term goals you commit to.